A child with intractable seizures is heartbreaking for family, friends and the neurologist who searches for effective therapy. But a child with intractable seizures who lives in dire poverty, who is malnourished, who cannot obtain medications, and who is rejected by government, by school and eventually by a desperate family is utterly devastating to anyone with compassion for humanity. This is precisely the situation today for thousands of children affected by Nodding Syndrome in northern Uganda and South Sudan. A child with this illness visibly nods their head up and down when stimulated by food or cold. The child may develop mental and behavioral problems, develop generalized seizures, have lapses in consciousness, fall into fires or drown in a river. It can affect multiple children in a single family, which itself seeks to survive with meager food, dirty water and no social support. They resort to tying their sick children to trees to stop them wandering but, eventually, neglect sets in as they turn their attention to survival of the fittest: themselves and their remaining healthy children. How did this happen? What is the cause? How can it be prevented? The setting is one of prolonged politics-driven human conflict, civil unrest, population migration to internal displacement camps and the provision of emergency food supplies. In Uganda, an important component was the war between the separatist movement known as the Lord’s Resistance Army (LRA) and the Ugandan government, which resulted in LRA recruitment of large numbers of child soldiers who were required to perform unspeakable acts of violence on their own families and communities. Yet, none of these children are known to have developed Nodding Syndrome. In South Sudan, the children of cattle herders were spared, the epidemic falling on sessile subsistence farmers who grew crops for their own use with leftover sold at market. Families who lived by fast-flowing rivers where black flies breed had children more at risk for Nodding Syndrome, and a nematode parasite transmitted from insect to child was prominent in children with the brain disease. Some thought this parasite, which causes River Blindness, also causes Nodding Syndrome but it now seems likely this is a secondary infection because of a compromised immune system. Peter Spencer, Ph.D., a professor of Neurology at OHSU, together with Valerie Palmer, OHSU Instructor of Neurology, has researched Nodding Syndrome in the three affected countries: South Sudan, Tanzania and Uganda. Spencer participated in a World Health Organization outbreak investigation team in then-southern Sudan that first defined the illness . In Tanzania, Spencer and Palmer surveyed the high-incidence focus of Nodding Syndrome and, with original clinical notes dating from 1960, demonstrated that head nodding was recorded as early as 1934 . Then, in Uganda, they worked with OHSU students to show the relationship between civil war, population internment, and the outbreak of Nodding Syndrome . 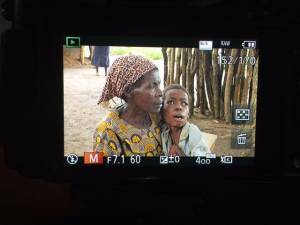 In 2014, with dedicated NIH grant support, they joined with OHSU, OSU, and Ugandan researchers to carry out a case-control study of Nodding Syndrome in the devastated community described above. They announced their preliminary findings at an international conference on Nodding Syndrome in northern Uganda  and recently published in the Journal of Neurological Sciences, an official journal of the World Federation of Neurology . The case-control study revealed that children with Nodding Syndrome had a significantly higher history of measles infection in Internal Displacement Camps, where population density was high, immunization was unavailable and food in very short supply such that affected families relied more on moldy maize. Drawing on publicly available data, they showed that a measles epidemic had preceded the Nodding Syndrome by several years, a temporal relationship similar to that of measles and a devastating neurodegenerative disease called subacute sclerosing panencephalitis (SSPE). They pointed out the similar clinical features of Nodding Syndrome and SSPE and called for detailed neuropathological studies to prove or disprove the relationship between measles and Nodding Syndrome. The CDC had found crystalline structures in the brains of three affected children but the results had been uncertain and never published. However, cellular crystalline structures are found in SSPE and correspond to huge numbers of measles virus nucleocapsids that migrate to and then hide in the brain after the initial infant illness. What causes their release from the brain years later is unknown, but Spencer and colleagues raise the possibility that immunosuppressive fungal toxins in moldy food may be key. Nodding Syndrome is a devastating degenerative disease of the brain that nevertheless can be stabilized with the anti-seizure medication and proper nutrition. This has been demonstrated by the remarkable successes of a U.S. charity, Hope for Humans, that has cared and nurtured affected children in Uganda. However, their successes have not been widely recognized and their activities in Uganda are now threatened by financial shortages and lack of government support. Hope for Humans partners with Dr. Spencer’s team in their effort to understand and prevent Nodding Syndrome, but this dreadful illness will not be overcome unless public support is forthcoming. While Hope for Humans seeks your support, Dr. Spencer’s international team continues to seek NIH support to test their hypothesis that Nodding Syndrome is a parameasles disorder that can be prevented by proper infant vaccination. If true, this is an important lesson for all societies, our own included, to ensure that all infants receive recommended vaccinations not only to prevent childhood illnesses but also the devastating consequences later in life. Measles is just one of many so-called neurotropic viruses that can hide in the brain for years or decades before they reactivate and cause neurodegenerative disease. Read more about this OHSU group’s global health studies, including research on a remarkable environmentally caused neurodegenerative disease that combines features of ALS, parkinsonism and Alzheimer-like dementia  and Palmer’s creative interprofessional educational course for OHSU health professional students right here in Portland . 1. Spencer, P.S., Vandemaele, K., Richer, M., Palmer, V.S., Chungong S., Anker, M., Ayana, Y., Ayana, Y., Opoka, M.L, Klaucke, D.N, Quarello and Tumwine, J.K. Nodding Syndrome in Mundri County, South Sudan: Environmental, nutritional and infectious factors. African Health Sciences, 13:183-204, 2013. 2. Spencer, P.S., Palmer, V.S. and Jilek-Aall, L. Nodding Syndrome: Origins and natural history of a longstanding epileptic disorder in sub-Sahara. African Health Sciences 13:176-82, 2013. 3. Landis, J.L., Palmer, V.S., and Spencer, P.S. Nodding Syndrome in Kitgum District, Uganda: Association with conflict and displacement. BMJ Open, 2014 Nov 4;4(11):e006195. doi: 10.1136/bmjopen-2014-006195. 5. Spencer, P.S., Mazumder, R., Palmer, V.S., Lasarev, M.L., Stadnik, R.C. ; King, P., Kabahenda, M., Kitara, D.L., Stadler, D., and Tumwine, J.K. Environmental, dietary and case-control study of Nodding Syndrome in Uganda: A post-measles brain disorder triggered by malnutrition? 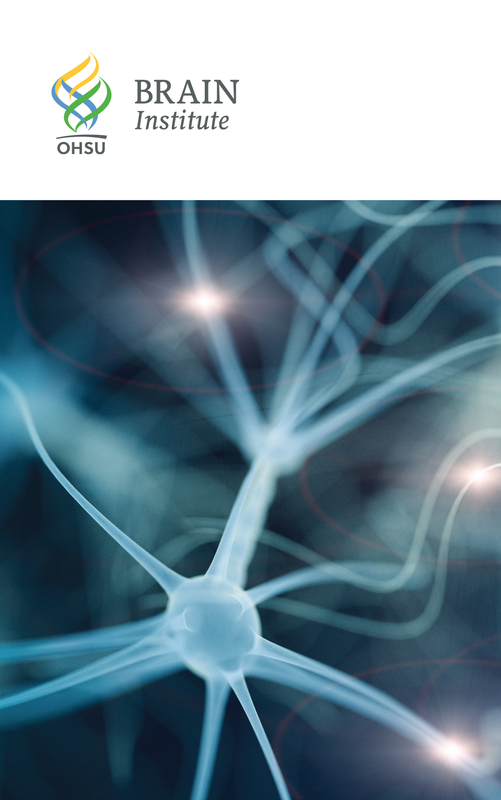 Journal of Neurological Sciences, 369:191-203, 2016. 7. Palmer, V.S., Mazumder, R., and Spencer, P.S. Interprofessional global health education in a cosmopolitan community of North America: The iCHEE experience. Academic Medicine 2014 Aug;89(8):1149-52. doi: 10.1097/ACM.0000000000000363.. Initially epublished as: Interprofessional Global Health Education at Oregon Health & Science University: The interprofessional Community Health and Education Exchange (iCHEE) Experience. Academic Medicine, June 10, 2014 [Epub ahead of print].